Here in Florida, we all love living here because of the weather. The sun is almost always shining and the winters are mild. Because the temperatures don’t ever reach frigid levels, the typical gas furnaces of colder climates are not necessary. However, since we’re all so used to the warm weather most of the year, some type of heating system is necessary in winter, and a space heater won’t cut it for most of us. And since it almost never drops below freezing here in the Sunshine State, we have the ability to take advantage of the most versatile and energy efficient HVAC systems on the market: heat pumps. Let’s talk about why heat pumps are so great for Florida’s year-round weather. Simply put, a heat pump is an air conditioner that can work “in reverse.” Traditional air conditioners and heat pumps both use condenser coils, pushing air over the coil which removes thermal heat from the air — this is called heat transfer. In the case of an air conditioner, air is pulled from inside your home to the coil, the heat is shed off, and the remaining cool air is pushed back into the building. Heat pumps, however, can work like a traditional air conditioner, but can also work as a heater by pulling air from outside to the condenser coil, bringing thermal heat into the building while shedding off the remaining cool air. The kicker is, once the air temperature drops below freezing, there is almost no thermal heat to pull from the outside air. So in colder climates, heat pumps must be supplemented with a furnace once temperatures drop below 32 degrees Fahrenheit. 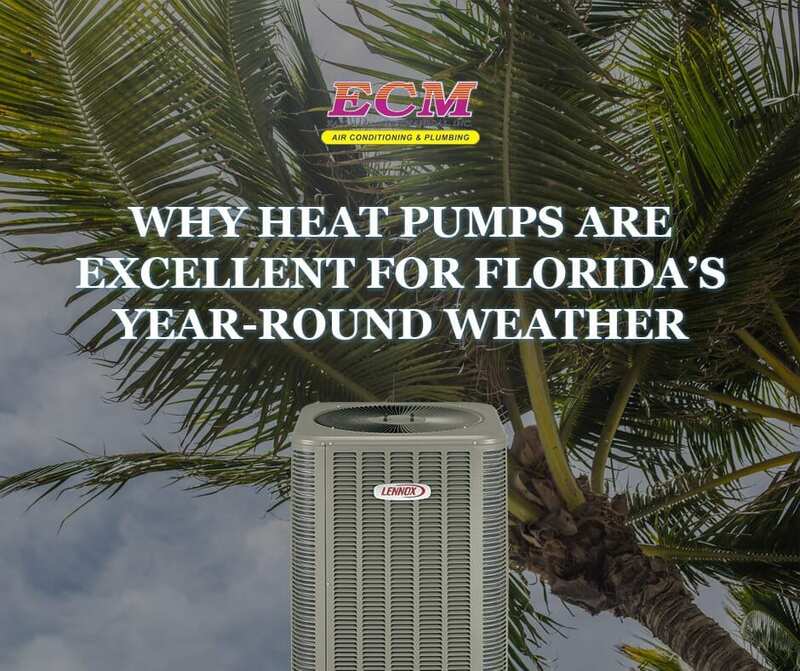 However, in the mild Florida climate where overnight temperatures typically don’t drop below 40 degrees, heat pumps are definitely viable as a standalone heating system while operating just like a normal air conditioner in the summertime. Not only are heat pumps versatile for both heating and cooling, they have an economical advantage by using heat transfer instead of burning fuel. While furnaces are almost non-existent here in Florida, most people use a type of resistance heater called an air handler. This electric heater turns electricity directly into heat at a 98% efficiency rate. While this sounds great at first, the story changes when you consider that a heat pump heats at a 300% efficiency rate. This basically means that a heat pump can heat your home for one-third the cost compared to an air handler. It’s true, a heat pump can save a substantial amount on your winter heating bills. 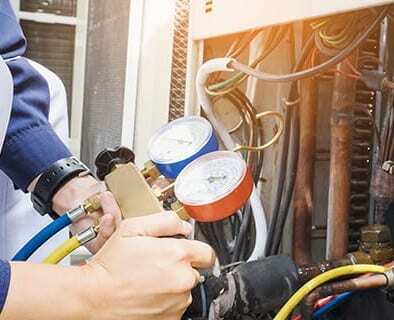 While a heat pump might cost more than a air conditioning unit of comparable quality, because a heat pump is essentially a two-in-one product, it typically less costly than buying both an air handler and an air conditioner. So a heat pump is a win-win when comparing both it’s up-front cost and it’s energy costs to a traditional AC unit and air handler combo. When you’re ready to upgrade your HVAC system with a versatile and energy efficient heat pump, call the experts at East Coast Mechanical. We’ve been a fixture in South Florida since 1985. 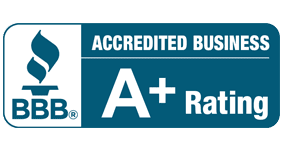 Operating out of Boynton Beach, we provide the surrounding areas with HVAC installation services of the highest quality. Our highly-trained team will recommend the products that fit your needs and budget, and our installation process in the best in the industry. Get in touch us today and ask us about our selection of heat pumps! 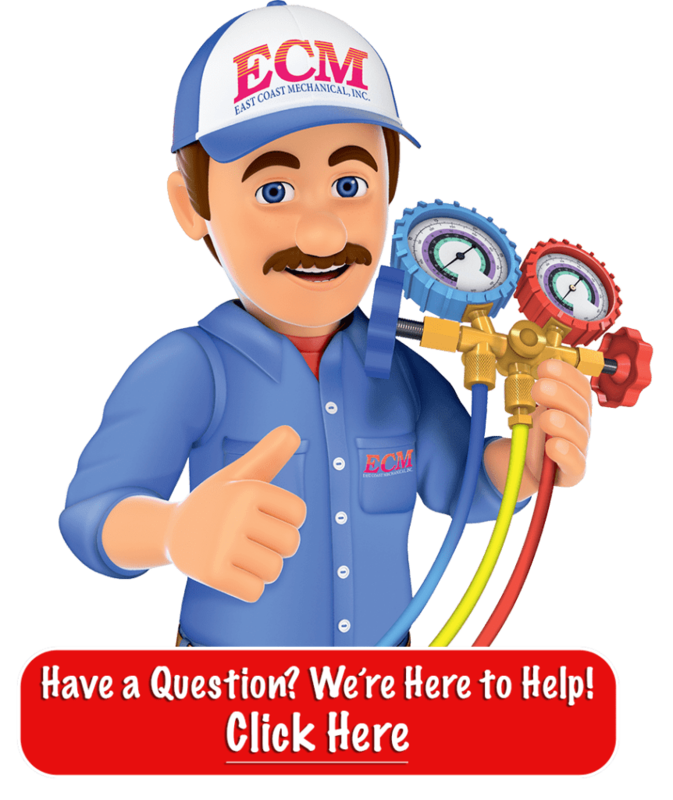 ECM IS ONE OF THE LARGEST PARTICIPATING AIR CONDITIONING CONTRACTOR IN FLORIDA! !